On January 27, fifteen young men and women will be vying for the coveted title of Mr. and Miss CedarBridge Academy. The Mr. and Miss CedarBridge Academy Pageant was started in 1999 by former CBA teacher, Mr. Dean Foggo. Mr. Foggo stated that the idea of introducing the pageant to CBA was birthed while assisting his mentor teacher with a school pageant for females only. However, he highlighted that he thought both male and female students should be given the opportunity to develop and showcase the much needed skills that participants gain from being a part of this pageant. Hence, after a conversation with then fellow colleague, Ms. Kim Lightbourne, who he knew was a former Miss Bermuda, the idea became a reality. 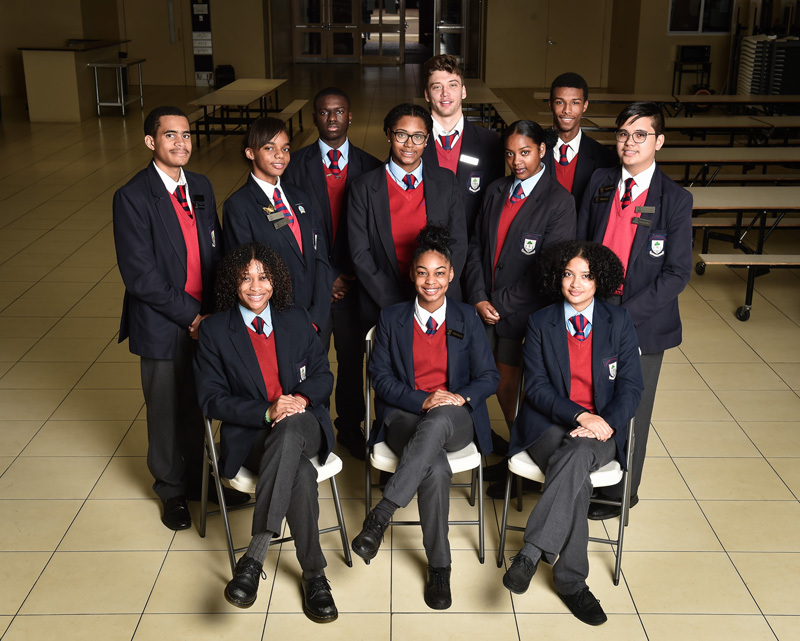 It was noted by Mr. Foggo that students who participate in the Mr. and Miss CBA Pageant are provided with an opportunity to develop etiquette, interpersonal and communication skills. The newly crowned Mr. and Miss CedarBridge Academy would be judged based on their presentations in the areas of talent, stage presence, oratorical skills and scope of intelligence. Over the last almost 20 years, S4 students have adopted this pageant as a major fundraising activity. This year, the Class of 2018 intends to take this show to another level as they have been blessed with the auspicious position of being placed in the celebration of 20 years of CBA in existence. Show organizers Ms. Shervelle Burch and S4 Year Head, Mrs. Rhonda Edwards-Adams are certainly looking forward to making this year a most memorable one. We just hope that the audience will not only leave the show impressed with the scope of talent demonstrated by our students, but also an appreciation for the hard work and tenacity of our young people, and the public and all students, past and present should come out and support our young people. In addition to being able to enjoy the display of talent from our young people, our audience will have an opportunity to receive some surprise giveaways which have been generously donated by community partners. According to the Show’s Co-Chairperson, Ms. Shervelle Burch, one of the highlights of these giveaways will be a weekend stay for two at one of the local hotels. Tickets for the show can be purchased at the main office, from contests or Mrs. Edwards-Adams. For more information contact redwards-adams@cedarbridge.doe.bm or 296 5666.